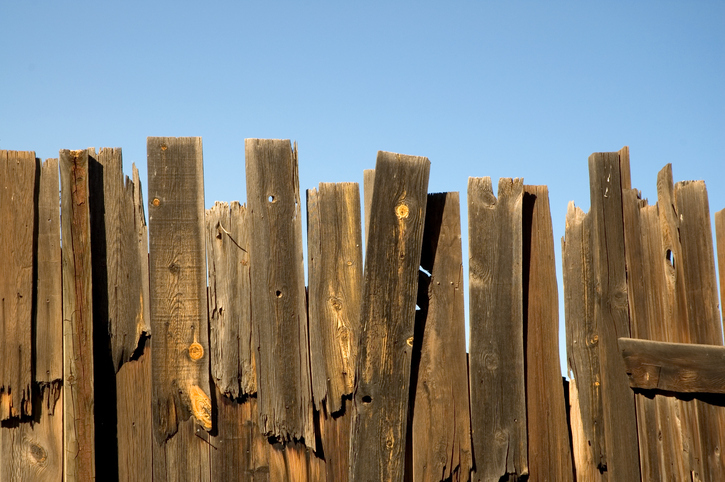 A damaged wood fence doesn’t look good and poses privacy and security risks. Wood fences are a hugely popular choice for homeowners and business owners alike. The natural beauty of wood adds warmth to any setting. However, wood fences don’t last forever. 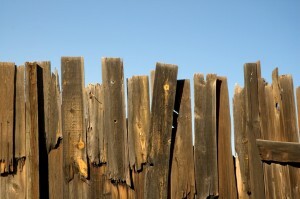 There comes a time when every wood fence owner has to ask themselves whether to repair or replace. If your fence is rotting, warping, or in disrepair, it can become not only an eyesore but also a security risk. Children and pets may wander through a hole in the fence, or unwanted pests could wander in. If your wood fence is acting as a privacy barrier, it may not provide the same amount of privacy it did when it was new. If you repair or replace your wood fence, you’ll be more secure, and your property will look great. If your fence is discolored, rotting, splintering, or warping, you need to act quickly before the damage spreads. The best way to treat this kind of damage is to call a fence professional to replace the affected boards before the damage has a chance to spread. You can also do preventative maintenance on your fence by staining and sealing it as well as making sure it is properly cleaned and has no debris or vegetation leaning against it. It’s easy to repair a few damaged panels on your wood fence, but if the damage is taking up a larger section, it may be necessary to replace a whole side of the fence. If your fence is simply old and does not seem like it will hold out for much longer, it may be necessary to replace the fence entirely. Some neighborhoods have rules about home presentation and maintenance, so you may be asked by the homeowner’s association to repair or replace your fence if it looks dilapidated. Replacing your fence now may seem like a hassle, but you’ll be pleased after you have a beautiful, secure, brand new fence in your yard! When you choose Hercules Fence of Richmond, VA, you’ll learn why we’re the best in the business. The knowledgeable people of Hercules Fence have developed a reputation since 1955 for professional service and quality installation. With over 50 years in the fence business, we are well aware that our reputation must be earned anew every day. This entry was posted on Friday, May 6th, 2016 at 2:15 pm. Both comments and pings are currently closed.